It’s a big month for strawberries and Naturipe Farms! As the company continues to celebrate its centennial year, Naturipe Farms hosted staff and growers of one of the company’s partner-owners, Naturipe Berry Growers, on May 5. The timing with National Strawberry Month could not have been more perfect! With California strawberry volumes peaking, Naturipe Farms was in good spirits! 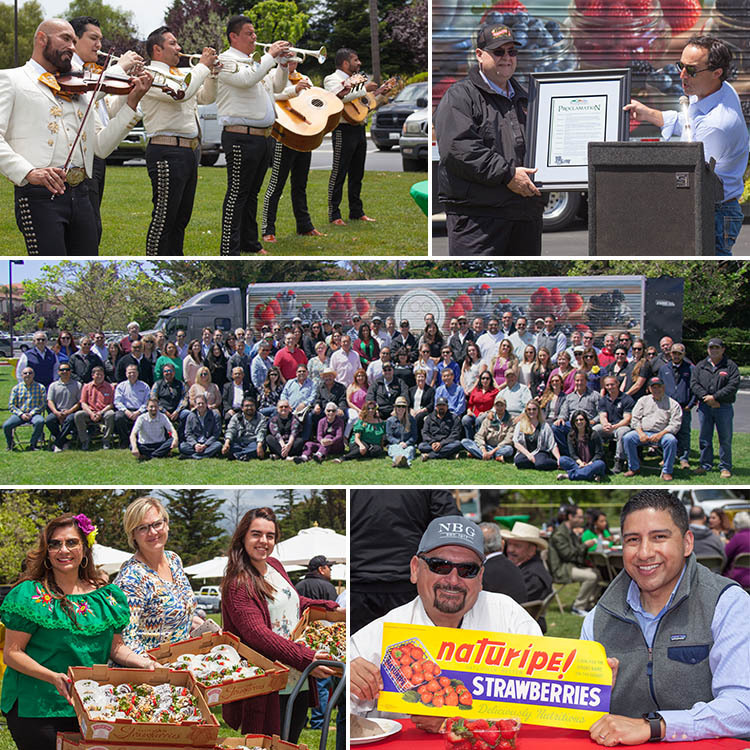 The Cinco de Mayo themed festivities, with strawberry flare, included live mariachi music, our Naturipe branded semi-truck, and a presentation of proclamations from Western Growers Association and the Office of Senator Anthony Cannella in honor of our centennial year. Join in on the celebration and pick up some Naturipe Strawberries! Look out for our 100 year label and get inspired by our delicious chocolate covered strawberries!